Data harmonization is needed in order for research results to be comparable so that they can be used by clinical and policy decision makers. 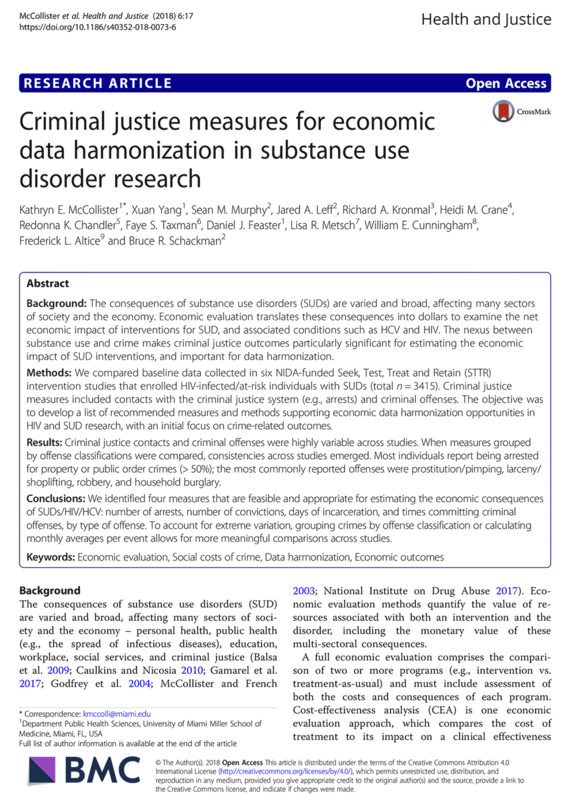 We work with investigators to establish common definitions of economic outcomes including utilization of substance use disorder and mental health treatment services, medical services utilization, and quality of life, and we will conduct comparative analyses of how effectively different data collection tools and methods measure these outcomes. We are collaborating with the NIDA-funded Seek, Test, Treat and Retain (STTR) data harmonization initiative coordinating center at the University of Washington.